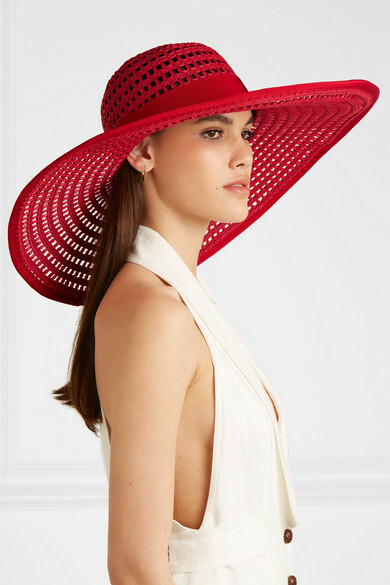 Wide-brimmed sunhats like Eugenia Kim's 'Sunny' style offer protection from the sun, covering your face and most of your neck, too. 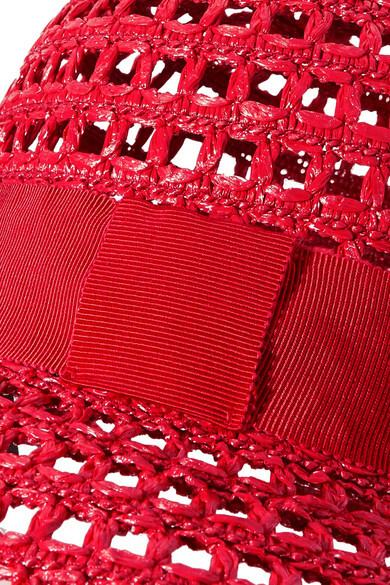 It's woven from faux raffia and has an internal grosgrain band, so it stays in place all day. There's no need to stuff it with tissue paper when you pack it in your suitcase - it comes with a handy hat mold to keep the shape. Shown here with: Zimmermann Jumpsuit, Loren Stewart Earrings.